Cookie Monster! | What Smells So Good? 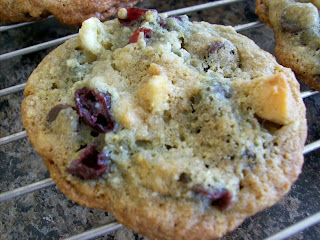 Your cherry garcia cookies look amazing! I can't wait to try these for myself. Yum. Yum! 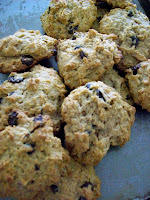 I love cherry chips...these look yummy! I know this is the oldest post ever, but where did you find vegan white chocolate chips? lu - I got mine through http://www.veganessentials.com/. Your local health food store may have vegan white chocolate in bar form too - mine has one made with rice milk.